Sometime last year, I was virtually introduced to Kate Payne, the author of The Hip Girl’s Guide to Homemaking. I don’t remember how the introduction occurred, but from the moment I visited her website, I’ve been hooked. I was so hooked that I purchased her book last November, and I love reading it in the little snippets of free time that I get. I’m hoping to put a lot of her homemaking tips to use when we get our house, so I will do a full review of the book then. But for now – I just want to share her amazing story. Before this book, Kate was what she calls “a flashy cook” – cooking food that would excite, but was not necessary by any means. She has also donned titles such as grant writer, half-assed homemaker, nanny, after-hours poet, doodler and gardener. She studied anthropology and sociology in the Sonoran Desert and once worked on an organic tomato farm. Kate started the blog in 2009, when she was living in a ground floor apartment in Brooklyn, NY. She wasn’t making the money she was used to, but she still wanted the comforts of home. She dug inside for a little creativity and improvisation, and there the blog – and subsequently the book – were born. She decided to write a book because she felt like there wasn’t enough resources out there for women who weren’t so hip on homemaking and keeping a clean house. Aside from that, she found herself questioning if it was normal for a modern, empowered woman like herself to actually enjoy the domestic life. “The stigma and history surrounding women and domesticity fueled my intrigue in exploring my own relationship with the kitchen and household chores. 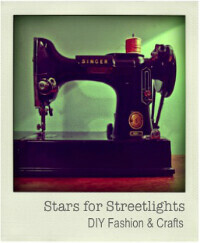 With my book and approach I hope to shed a new light on DIY and eco-oriented homemaking. We all need somewhere to call home and shifting our attitude toward our homes is a good first step. On top of maintaining her blog and writing her books, Kate also writes grants part-time for a nonprofit and maintains a quarterly column for Edible Austin. 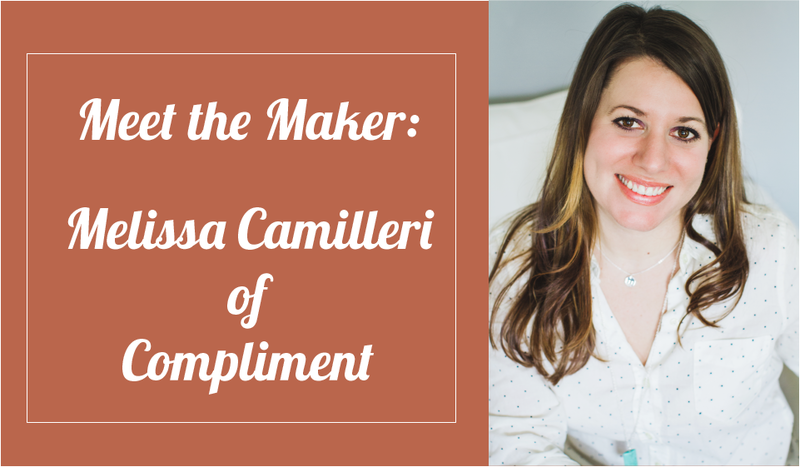 She works with her Marketing Coordinator Christina Valentine on the blog, tour event planning and managing workshop preparations. And because that is clearly not enough, she also works with a local farmers market group and helps maintain their website and social media. Kate started canning in 2009 and peach jam was among her first projects, which she was afraid to eat because she was terrified the jars were full of botulism. She also made a triple citrus marmalade, from Eugenia Bone’s book Well Preserved. A self-taught cook, she gets a lot of her recipe inspiration from Joy of Cooking and many of her gluten-free recipes will start from there and from pastry chef David Lebovitz. She will then make the recipes gluten free-friendly by substituting the flour for a flour blend based on what she is making. As for her preserving projects and recipes, she’s inspired by Linda Ziedrich, Eugenia Bone and Sandor Katz. She and her friend started the Food Swap Network, which provides hosts and attendees with a bevy of resources and information. Existing swaps that are registered on their site are searchable for anyone nearby who wants to join the fun. Kate’s new book The Hip Girl’s Guide to the Kitchen comes out next month and is available for pre-order now. She says it will be in the same style and format as her freshman book – it will just focus completely on the kitchen, which really is a world of its own. Kate will be kicking off her HGGK Book Tour (hooray!) on May 24 in Ann Arbor, MI and the tour will close in Albuquerque, NM on July 1. I have listed the dates and locations of her book tour, and you can also see her full classes, demos and signings schedule by visiting her at katepayne.net. You can find Kate Payne by visiting her on The Hip Girl’s Guide to Homemaking website, you can find neat stuff in her store and you can connect with her on Twitter and Facebook. If you know an awesome maker who would be perfect for this series, please leave a link in the comments, share on my social media or e-mail it to me! Meet Jess Van Den, 32, from Sunshine Coast Hinterland, Queensland, Australia, who runs her own handmade jewelry line, Epheriell, and also founded Create & Thrive, an excellent resource for creative business owners. Create & Thrive has become a huge part of my research and reading for both my blog and my creative business projects I’m working on, and I’m so privileged to share her story with you. Jess has not only one Bachelors degree, but three of them – in Science, Arts and Education. Before she decided to turn her love of jewelry making into a full-time career, she worked as a traveling Science communicator for the Queensland Museum and her last position was a Manager at a Math and English tutoring center for two years. She got into making jewelry in 2008 and started out buying components at Spotlight (the Michaels of Australia) and stringing pieces together. At first, Jess was simply selling jewelry because she had so much of it scattered around and thought “maybe I can sell some.” Her decision to make it a career was accidental, and might just be one of the best stories I’ve heard to date. She and her husband got married in 2009 and wanted to travel around Australia in a camper for a year. “We converted an empty courier van into a camper over summer, but I had a huge saga of dental problems at the same time that prevented us from leaving. I had no job, so I just threw myself into the biz… and, well, the rest is history as they say. We never did get to go on that trip… but we will, one day! Her decision to name her jewelry line Epheriell was easy and simple, as it was an online alias she used for many years. She says it’s the mash-up of “ephemeral” and “ethereal,” meaning “lasting for a very short time” and “extremely delicate and light in a way that seems too perfect for this world,” respectively. A “greenie” from the way back, Jess ran a now-defunct blog called Sustainable Suburbia before starting her jewelry line, so its only natural (no pun intended) that she is dedicated to finding recycled sources for her jewelry. She struggled to find sources at first, but finally found a 100% recycled silver. Like many small business owners, Jess loves the freedom that comes with running her own business, but does admit that she does panic a little when business slows down a little, which fortunately does not happen to her too much anymore. After running her jewelry business for a few years, Jess decided to start Create & Thrive as a source of practical advice from people who thrived (again, no pun) in their handmade businesses. She wanted to get writers that were a part of the handmade business community and she will actually be welcoming six new writers in 2014! Jess and her husband, Nick, work in two rooms in a converted barn (she really is a greenie!) and her studio takes up the wall of one room. She has a desk with her computer and another desk for all of her jewelry work. She also has a soldering and buffing station outside. She recently took a digitial sabbatical for a few days, which she credits for improving her workflow and she wrote about all the changes she is making here. She says that her routines, calendars and schedules ensure that she stays on top of everything, and even though it may not all go smoothly, she is usually able to get everything done. Jess names jewelry designer Megan Auman and Business Strategist and writer Tara Gentile among her many mentors, but she can’t pinpoint where her inspiration comes from. She says that sometimes an idea will pop up fully formed in her head. When Jess is not busy creating beautiful jewelry and motivating small business owners with Create & Thrive, she loves to read and is currently on her third Kindle. She’s mostly drawn to the indie fantasy/paranormal romance genre and science fiction, her first love. An amateur triathlete, she also runs, swims or cycles almost every day. She and Nick also love going hiking, and traveled through all of the National Parks down the US West Coast this year. They have traveled all over the world, and Jess takes a little something from each place she has visited. Jess says that anyone who hopes to venture into the world of silversmithing should simply “just start playing.” She recommends taking an in-person course (something you might be able to find on Skillshare) and she also recommends checking out Flourish & Thrive for the business aspect, as she says they are focused on helping jewelers grow their businesses. She wants people to realize that they don’t have to stick with the same day job day in and day out, if it’s not something they love and enjoy doing. 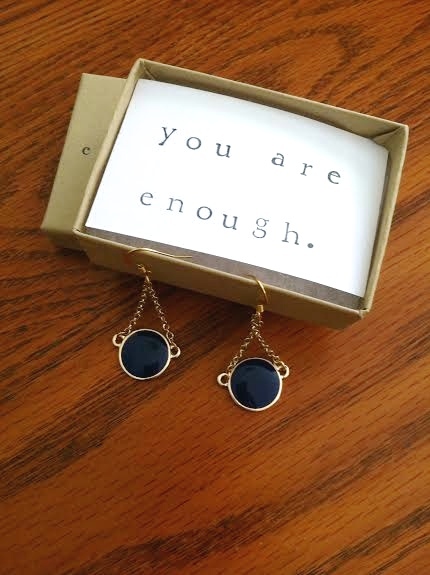 Find about more about Jess and her beautiful jewelry by visiting her at both Epheriell and Create & Thrive. You can also connect with her on Facebook, Twitter and Pinterest. 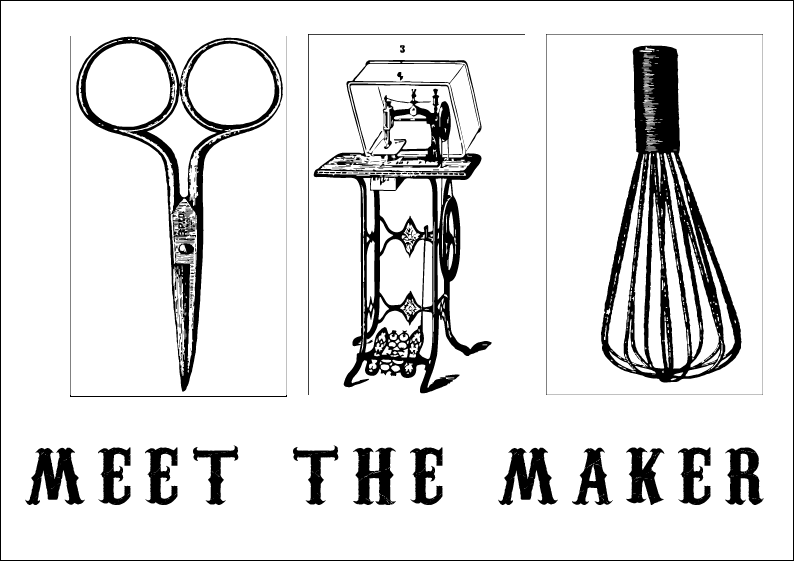 My Meet the Maker series appears every other Wednesday and you can find out more about these lovelies by visiting me on Facebook, Twitter, Instagram and Pinterest. I would love to keep this going as long as I can, so if you know of anyone who would be a good fit, let me know!